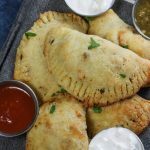 How to Make Empanadas: These Chile Verde Chicken Empanadas are made with a ketogenic and low carb fathead dough then filled with flavorful Chile verde chicken. 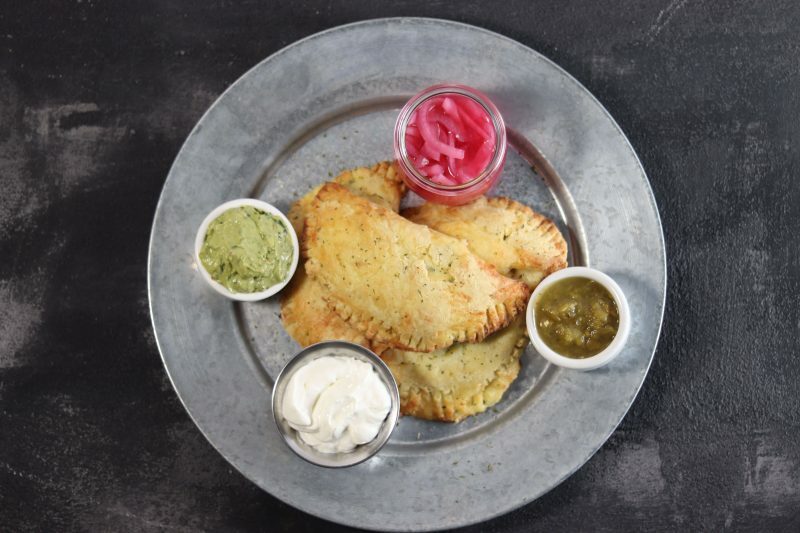 We interrupt your previously scheduled Taco Tuesday with a recipe for Empanadas. 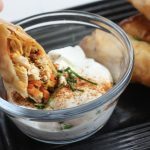 Low carb friendly Empanadas. Trust me, it’s worth it to try these! 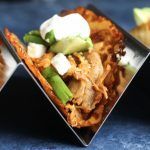 Even if you aren’t low carb or keto, you’re still gonna love ’em. 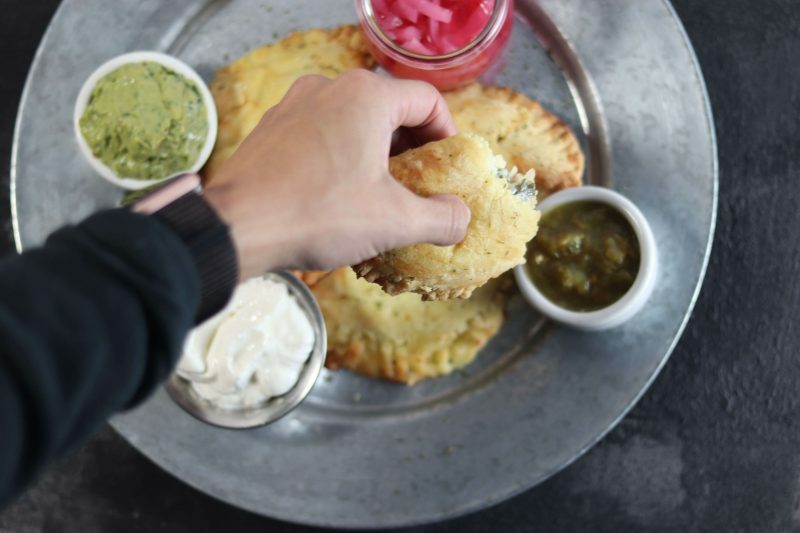 It should be no secret that I love empanadas. 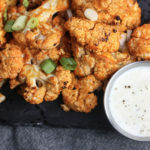 They’re really easy to make, always delicious and you can put any variation you like on them which makes them a win-win-win in my book. 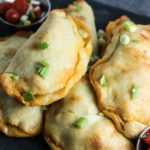 I’ve actually eaten these Empanadas both hot and cold as well and while I prefer them warm, I’m not going to turn them down if they’re in my lunch bag at work and I can’t use the microwave. They’re surprisingly versatile and hold up very well. 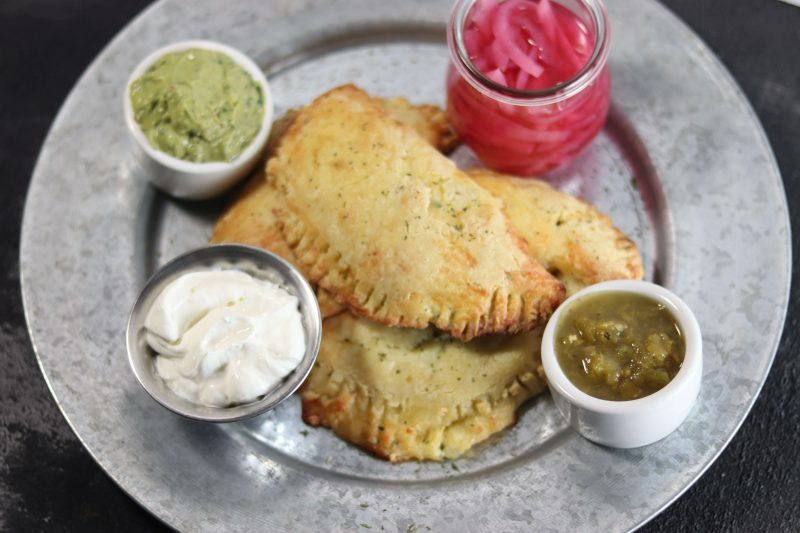 Plus who doesn’t want to eat a delicious empanada at work?! It’ll brighten your day right up. First: we’re making an easy, low carb and keto friendly dough. It can be a little bit difficult to deal with when you first make it but once you get the hang of it, it’s a breeze. 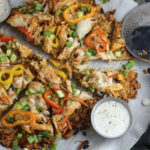 Second: we’re filling the dough with tender and flavorful shredded chicken. 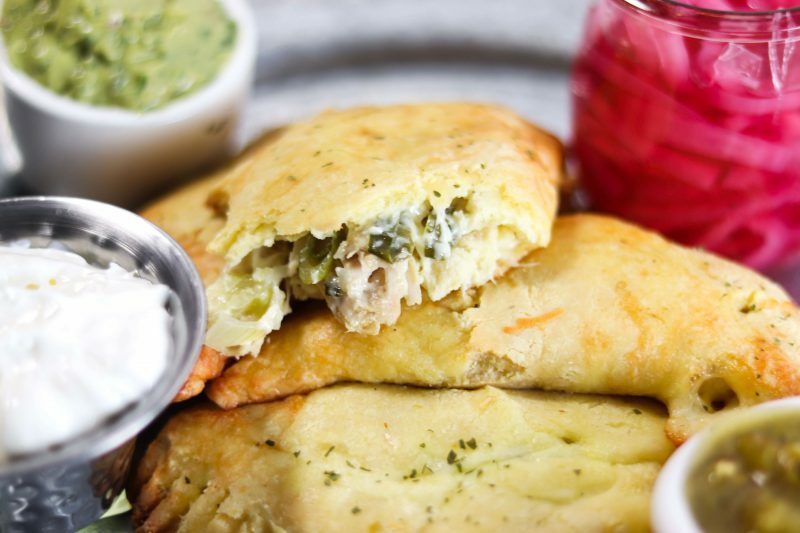 Third: we’re baking the empanadas to perfection then serving with alllll of our favorite toppings. Roll the dough flat with a rolling pin or with a piece of plastic wrap on top and use a wine bottle. Once you've rolled it flat, about ¼" thick, use a bowl to cut circle shapes. Lay on a lightly greased cooking sheet or use a silicone baking mat. For chicken, mix shredded chicken with Chile verde salsa. Place a spoonful into each circle on one half and then fold the other half over. Make sure to press down firmly on the edges. You can also slightly roll the edges to make sure they're combined well.